More flexibility in inlet management regulations was a request repeated by experts, officials and concerned citizens during an April 2 public hearing at the New Hanover County Government Center. The North Carolina Coastal Resources Commission held public hearings in four coastal cities during March and April 2014 to gauge perspectives on management needs for the state’s 12 developed inlets. Results of the management study will be considered as the CRC deliberates new protocol to address unique circumstances in different coastal areas. Seven local experts and officials discussed need for room in regulations due to the special demands of managing each of the area’s inlets. “They’re collectively alike but singularly different. … The takeaway point is you need a management scheme for each individual inlet,” said Dr. Bill Cleary, retired University of North Carolina Wilmington professor of marine and coastal geology. New Hanover County Shore Protection Coordinator Layton Bedsole echoed a similar concern for the county’s three inlets: Masons, Masonboro and Carolina Beach. The need for leeway is illustrated in different maintenance demands for each. 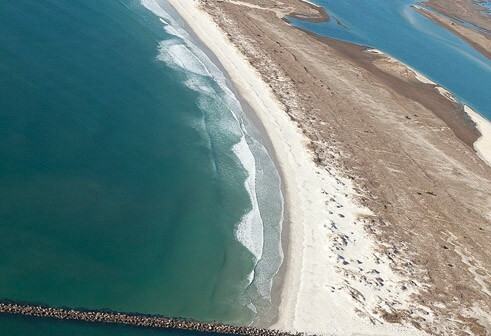 North Carolina’s first inlet relocation project was engineered at Masons Inlet in 2001. Concern behind the project hinged on imminent damage to coastal infrastructure. A few miles down the coast, Carolina Beach Inlet must be dredged four times per year to ensure navigability. 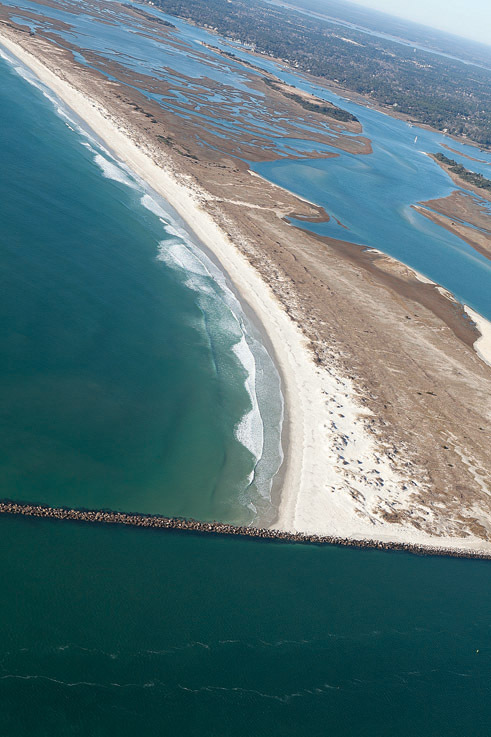 Masonboro Inlet, found between Masons and Carolina Beach, is the only inlet in the state with structured features, two navigational jetties. Bedsole called for historical perspective in addition to freedom in management and maintenance options. “Don’t let history be forgotten on design and implementation of a project that works well,” Bedsole said. Local government’s duty to find funding to support inlet management projects was another argument in support of autonomy. “We are having difficulty in New Hanover County … just getting matching funds so we can do a small project,” said Dennis Barbour, former mayor of Carolina Beach who currently sits on the North Carolina Beach, Inlet and Waterway Association Board of Directors. “Even the Army Corps of Engineers have redefined inlet maintenance from maintenance to emergency dredging. Basically, they … come when there is an emergency. That’s when you have no water,” Barbour added. Dan Wilcox, mayor of Carolina Beach, requested deeper dredging for Carolina Beach Inlet to shift from reactive to proactive management. Cleary was cautious, citing likely erosion on Masonboro Island if deeper dredging occurred. Other suggestions offered by speakers included extending dredging season beyond its October through March parameters and combining beach management projects — for example, using sand from dredging projects for nearby beach renourishment efforts.